It is perhaps no surprise that, of all creatures, birds feature most commonly in choral music.In this concert we celebrate that relationship with a selection of works that all in their different ways celebrate, describe, or in some cases commiserate with, the marvellous variety of birds. Some pieces, such as ‘Voices of Birds’, ‘The Blue Bird’ and ‘The Windhover’, simply wonder at nature in all its glory. Thomas Hardy (‘The Darkling Thrush’) and Robert Bridges (‘November’) heard in the sound of the birds a new hope in the depths of winter, a hope that is justified in ‘The summer is coming’. In madrigals of the 17th and 20th centuries (‘The Silver Swan’ and ‘Le Cygne’), the poets have sought to find parallels between presumed characteristics of particular birds and the human condition. And a decidedly comic touch is supplied in ‘Sweet Suffolk Owl’ and ‘The Hen and the Carp’. On a more serious note, Ravel’s use of the tricolour birds of paradise is merely symbolic; while a welcome change of focus is provided by ‘Skywalk’, which views the world from the eagle’s own perspective. Finally, in ‘Nightingales’ the birds themselves finally give a clue to the origin of the haunting power of their own music. Bryan Guinness (1905-92) was born in Dublin, succeeded his father as the 2nd Lord Moyne, and became vice-chairman of Guinness and a governor of the National Gallery. But he combined his public life with authorship of a considerable body of poetry and prose, much of it strongly influenced by his Irish background. Howells made this characteristic setting for the Cork International Festival of 1965, and dedicated it to the memory of Sir Arnold Bax, who identified so strongly with Irish culture that he made Ireland his second home, and died in Cork in 1953. Robin Holloway studied under Alexander Goehr and since 1975 has been a lecturer in music at Cambridge University, where he and has inspired generations of students with his encyclopaedic knowledge of 20th-century music, while emerging as one of England’s most characteristic composers. His Five Madrigals of 1976 are settings of James Joyce and T.S. Eliot: the title, and the colourful and witty word-painting, hark back to the heyday of the English madrigal at the turn of the 17th century. This setting of Eliot’s ‘Cape Ann’ (a reference to the New England coastline where Eliot’s family spent much time) manages to characterise no fewer than eleven birds in the space of two minutes. Stanford’s ‘The Blue Bird’ is undoubtedly a masterpiece of the Edwardian part-song repertoire. In a pure piece of scene-painting, the choir evokes the rich stillness of the blue lake in which the image of the soaring bird is then reflected. Elizabeth Maconchy studied with Vaughan Williams in 1920s, and her chamber works of the middle of the last century were highly admired. But her output also encompassed a considerable body of music composed for choirs and amateur groups. Creatures was a commission from Stephen Wilkinson and the BBC Northern Singers in 1980. ‘The Hen and the Carp’ is a rare example of a successful choral comic turn, verging at times on the patter-song. 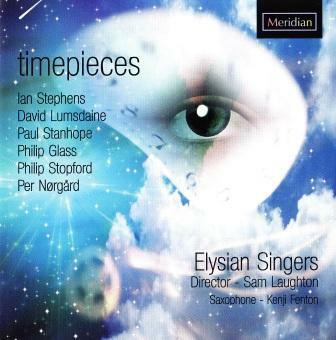 Steve Martland was born in Liverpool in 1959, and studied composition in the Netherlands with Louis Andriessen, where he developed a highly distinctive brand of minimalism. He prefers to work with groups outside the classical mainstream, including his own Steve Martland Band. His preoccupation with the function of the composer in society is reflected in his commitment to work in schools and prisons. Skywalk was composed in 1989 to a poem by his regular collaborator Stevan Keane. By 1939, when he composed the Six Chansons, Hindemith had escaped the Nazi regime to Switzerland. They are settings of poetry by the German poet Rainer Maria Rilke, and display the composer’s mastery of the neoclassical style. The swan is characterised by its measured, but somewhat melancholic, progress along the water. And this image is not dissimilar from that of the much earlier piece by Gibbons. Despite its popularity as a madrigal, it is probable that ‘The Silver Swan’ was intended as a solo song accompanied by a viol consort. Nonetheless, its place as the perfect choral epigrammatic miniature is assured. Alan Bullard was born in South London in 1947 and studied composition with Herbert Howells at the Royal College of Music. 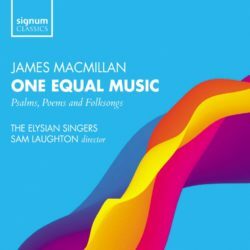 Since 1975 he has taught at Colchester Institute, since when his reputation for choral writing for both professionals and amateurs has steadily grown. 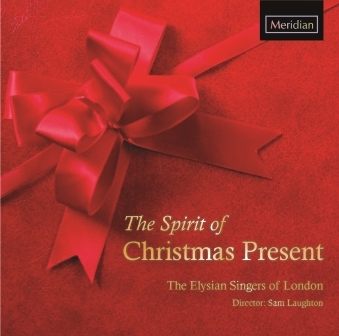 These songs were composed in 1994 and first performed in their complete version in Chelmsford Cathedral. Characterised by an imaginative response to poetic detail and a broad palette of textures, they display a mastery of colour to match the poetry of Hardy (The Darkling Thrush), Hopkins (The Windhover), and Bridges (from November).